The leaves on the orange trees by the sides of the road were still green, even though it was already September, and the tall Oaks forming the windbreaks were showing the actual colors of the season. My father and I had been walking for almost a mile, after the bus had left us at the crossroads; we were being escorted by these squared formed battalions armed with no more than the yellowish fruits hanging from their branches. It was a hot and humid Monday morning in 1990, and I was haunted by the teary faces of my mother and sister who’d both been engulfed by sadness the night before, as they boarded the plane to Miami. My dad was talking. He’d struggled with the decision of letting my fourteen years old sister go, but he said the family would eventually be reunited. It didn’t take much to convince me. I’d never lived with my mom, and at the age of fifteen, I could only think about the cool clothes, shoes, and the money that would come from the north — from the Yankees. The only thing I would have to focus on in the meantime, was choosing a career, and that was the purpose of our trip that morning. In Cuba, when you live away from the city and it comes the time to go to college, you don’t have too many options. Either you register for night school, where you get training to be an accountant, a heavy machinery operator, a welder, a plumber, a baker, or any of the various other technical professions, or you enroll to a kind of boarding school they used to call “pre-university,” where you were provided with shelter, food, and an education in exchange for the completion of certain tasks. If you maintained good grades in high school, which I did, you were assigned to one of these institutes, where they molded you into a “new man,” according to the guidelines of the 1959 Castro revolution. Some sort of perfect human being capable of both furthering his education and contributing to the economy by working on the agriculture. We arrived to the building that would be my home for the next three years at around eleven that first day. It was a modern and weird construction in the middle of nowhere. The nearest town was five miles away, on the other side of the orange grove. We were received at the entrance by two huge trees, with rugged, brown, bell shaped fruits that we were never able to identify. After a short set of stairs, there was a long, wide central hall, with three buildings spread on both sides, and benches along the way. The first building was the school, were we would go every afternoon, after working on the orange plantation in the morning. The other two were the dorms, and right by the middle and in the open, a stage made of concrete, surrounded by a considerably big gathering area, where some cows were sniffing and having a feast on those odd rough fruits. I felt like a prisoner willingly going to jail. I could not get used to the idea of seeing my family and my friends from the neighborhood every two weeks, let along the fact of having to eat, bathe and sleep among strangers and away from home. After making my father promise to visit me next Sunday, a hug and a few tears, I gathered my supplies and went to set up camp in one of the bunk beds. A guy with a squeaky voice came in screaming at 6 am the next morning. I knew it was time to get up and dress for work in the country. I yawned, rubbed my eyes, looked around, and after putting my sandals together, started walking toward the bathroom, which was a line of old dirty toilets with no paper, in front of another line of showers with no hot water. There was an amazingly long, plastic sink at the end of the room against the wall, crowded with people making conversation and spitting while brushing their teeth. I found a spot and then heard a voice and a hand on my shoulder. I jumped as I turned, and there he was, Adriel, one of my classmates from elementary school. We never talked much, but I was happy to finally see a familiar face. He stared at me and smiled. “Cool. Me too. Are you on the cleaning team today?” he asked before tilting his head back and gargling loudly with the water in his mouth. “Sounds good!” I answered with the joy of having found someone to talk to. Being on the cleaning team meant that I would have to go back to the dormitory after breakfast, and somehow organize the mess left by the rest of the boys. It was not a pleasant chore, but we would all have that responsibility at some point. There were more than six hundred students formed in the gathering area when I came down to join my group. The principal was on the stage talking about the news and discussing the schedule for the day. He was a blonde, tall, muscular and extremely serious man, but the girl standing beside him caught my attention. Her name was Annia and she was an honor student from 11th grade. She had dark long hair, beautiful legs and a sad look on her eyes that would melt the most daring guy. I slipped my hands into my pockets and gave her a long stare, while making my way through the lines of uniforms and country clothes. Born in Cuba in 1975, Jorge Valdes moved to Miami in 1995, where he graduated as a sonographer and cardiovascular tech in 2004. 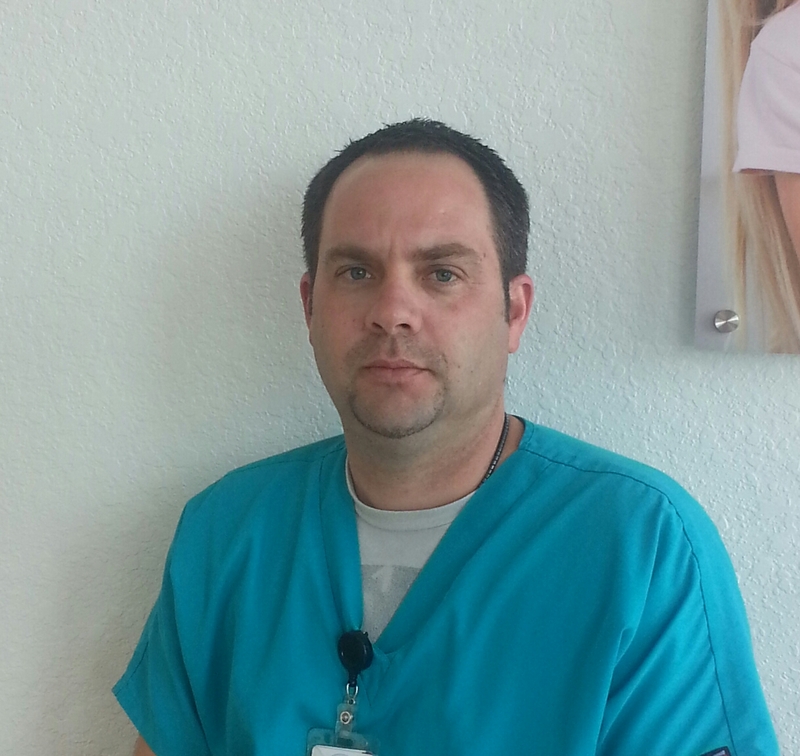 A clinical coordinator for a local college, he enjoys a good movie and an interesting conversation. He also likes to watch sports, get together with friends and family, dine out occasionally, and long road trips. He read a lot of adventure and mystery novels as a kid, and his favorite authors remain Agatha Christie and Edgar Allan Poe. His poetry has appeared on CentroPoetico.com. Great story. I didn’t know the education was like this in Cuba. Most of my immediate family left Cuba at a young age or like my grandfather was sent to a private school here in the United States. How well has Pre-University prepared you for furthering your education and how does the U.S. education compare in your opinion? Thanks for the comment. Pre-University was a unique experience, but not necessarily a good one. U.S. education is a lot better when you get to college, but students in Cuba have more general knowledge, at least back in the 90’s, I guess is different now. I just loved your story Jorge. From the start, the way you described the separation from your mom and sister, and the environment you lived in, with limited school options, I felt like I was there with you. Being a Cuban myself, and having lived through similar circumstances, I think gives me a better understanding of your story. But your detailed descriptions would make anyone, Cuban or not, live your experience through your words. The story was so intriguing. I had not known anything about the educational system in Cuba. Also the author of the piece has a great writing voice. I felt the emotions and could easily imagine the details the author was giving. This short story actually seems like it was the start to a novel. By the way, is a pre-university similar to taking two years of schooling at a community college and transferring? I’m curious to know. Pre-university is like high school. it goes from 10th to 12th grade and after those three years you continue on to pursue your actual career. That’s a great story. It’s amazing how the beginning, was very passionate and heartfelt and seemed like it was going to be a serious story but then turned into something really funny and unforgettable. That was unexpected. Every single part of your story kept me interested and made me want to finish it. You really put your soul and feelings into it and that is what ” as a reader” made me feel and understand the way you were feeling. By the way, did you reunite with your mom and sister? Thanks for the comment. I did reunite with my mom and sister when I came to Miami in 1995. Great article and very well written. It was very informative and it brought light to me on life in Cuba. Great to see how you wound up doing good regardless of going through tough times. Why did they leave have to leave before you guys? My parents were divorced. My mom came first with my sister and my stepfather. My father and I came a few years later. Thanks for the comment. I really enjoyed reading your story because right from the start you began with a very detailed picture of how the road looked and then when you started giving me more details about the situation I began to brainstorm the ending and then you throw in the story of the girl which gave it a complete twist and not only that but the stepping on the pile of poop was completely unexpected and hilarious!!! by the way, what kind of education did they gave you? was it like a specific subject or different ones? Beautiful piece! I can relate to it. Remind me when I left my country, my mother, my family, and my friends behind. I also have best and worst school memories, that when I look back at them now they seem kind of funny, but back then it wasn’t. At first when starting school its kind of weird because you don’t know anyone. but ones you find that person that you known and become very close it gets better . Everyone when going to school has there good and worst memories. but when you talk about them in the long run you laugh about it.